Hon. Miss M. A. Mottley and Mr. D. J. H. Thompson. Hon. Dame BillieMiller, Mr. R. St. C. Toppin and Mr. R. D. Marshall. Mr. D. St. E. Keliman and Mr. M. A. Lashley. Hon. K. D. Symmonds and Dr. D. C. Estwick. Dr D. C. Estwick was appointed on 13th February, 2007. The other members of the Committee were appointed on 6th June, 2003. Mr. R. L. Sealy and Mr. M. A. Lashley. His Honour the Speaker (Chairman), Hon. Miss H. E.
Hon. Miss C. Y. Forde, Hon. G A. Clarke, Mr R. D. Jones and Dr D. C. Estwick. Hon. Dame Billie Miller, Hon. D. D. Marshall, Hon. A. P. Wood, Mr. R. St. C. Toppin, Hon. K. D. Symmonds. Mr. M. A. Lashley and Mr. R. L. Sealy. Rt. Hon. O. S. Arthur: To move the Second Reading of the Final Appropriation (2006-2007) Bill, 2007. Notice of this Bill was given on 10th July, 2007. The Bill was read a first time on 10th July, 2007. The Bill first appeared in the Official Gazette on 16th July, 2007. Hon. Miss M. A. Mottley: To move the passing of a Resolution to take note of and endorse the International Business Sector Strategic Plan 2007-2012. Notice of the Resolution was given on the 10th July, 2007. Hon. O. S. Arthur: To move the Second Reading of the National Art Gallery Bill, 2007. The Bill first appeared in the Official Gazette on 20th August, 2007. Rt. Hon. 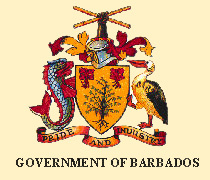 O. S. Arthur: To move the First Reading of the Central Bank of Barbados (Amendment) Bill, 2007. Notice of this Bill was given on 28th September, 2007. Mr. T. A. Prescod: To move the passing of a Resolution to take note of the Throne Speech of His Excellency the Governor-General and of the determination of the Government to implement the provisions referred to therein. Notice of this Resolution was given on 17th June, 2003.